President Trump hasn’t vetoed a single bill since he took office. The last president not to veto any legislation was James Garfield, who served less than a year before being assassinated in 1881. Senate Majority Leader Mitch McConnell won’t allow a vote on any legislation Trump doesn’t support. Americans are now more likely to die of an opioid overdose than in a car accident, a fall, or a shooting. A new report from the National Safety Council found that based on 2017 data, Americans have a 1 in 96 chance of dying from an opioid overdose (including heroin and fentanyl), while the probability of dying in a motor vehicle crash is 1 in 103. 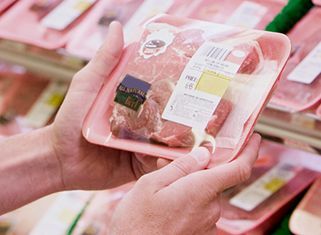 Recalls of tainted beef, chicken, and pork have risen by 83 percent over the past five years, according to a new report by the U.S. Public Interest Research Group. More than 128,000 people are hospitalized and 3,000 die from food-borne illness every year. When CNBC was compiling a list of the top 100 business leaders in 2014, Donald Trump’s attorney, Michael Cohen, paid a technology company to rig the online vote used to winnow down the field. When Trump still didn’t make the final list, Cohen told CNBC that it would be sued, while Trump called several network executives to complain. 57% of registered voters say they will definitely not vote for President Trump in 2020. 30% say they will definitely vote for him, and 13% are undecided. 69% of Republicans plan to vote for Trump, while 62% of independents and 91% of Democrats plan to vote against Trump. 58% of Americans say that the media does not understand people like them, including 73% of Republicans.